In the picture below, the home was recently constructed with an outdoor patio and fireplace. However, the entertainment area was not sufficient for the owner and family to enjoy on a regular basis. We wanted to create multiple seating areas where 8-10 guests could easily use the space comfortably. We designed a patio that implemented a solution to allow multiple guests to move throughout the area with ease. 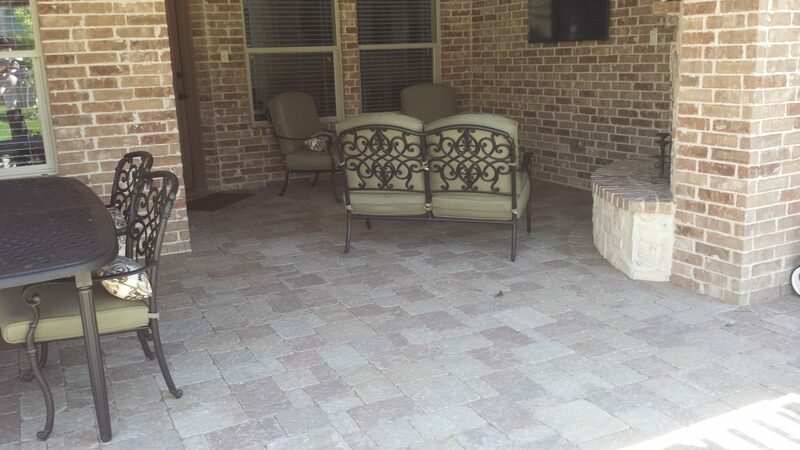 The existing concrete was overlaid with pavers as well as the continuation of the patio constructed with pavers on a sub-base. 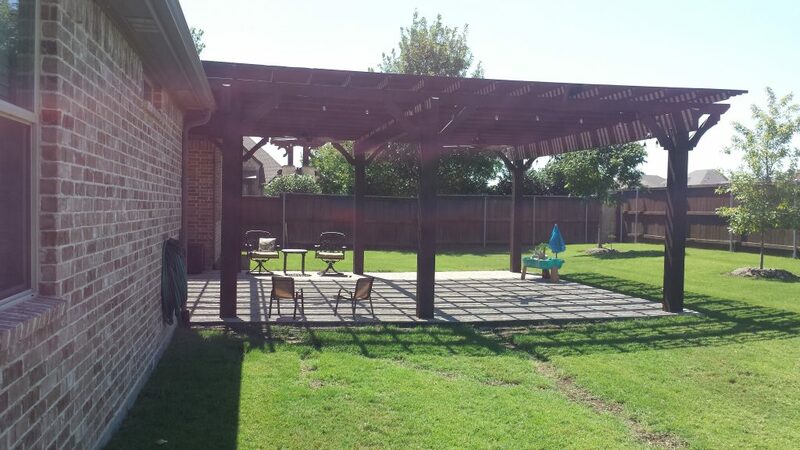 With our warm summer temperatures, a large patio would not be complete without a shade structure. The arbor provides an architectural element while providing reduced temperatures and is built with minimal anchor posts. The new entertainment area is more than twice the size of the originally constructed patio and is protected from our hot Texas summers.